Just because you own a piece of property does not mean that you can do whatever you want on that property. In simple terms, owning a car does not mean that you can drive in any way you want or cause damage with your car. In other words, despite ownership of property, you still have limitations using your property. The same is applicable for real property. Owning real estate does not mean that you can do what you want with that property. Zoning laws restrict property use. For instance, a property zoned as industrial may not be used for residential use, hence the area along I-70 in Denver that has several factories that are separated from residential use. In addition to zoning, Colorado adopted the model Land Use Act, which is a government tool to control land use implementation. While courts have a litany of cases ruling that those laws are advisory, many of those laws have been implemented. 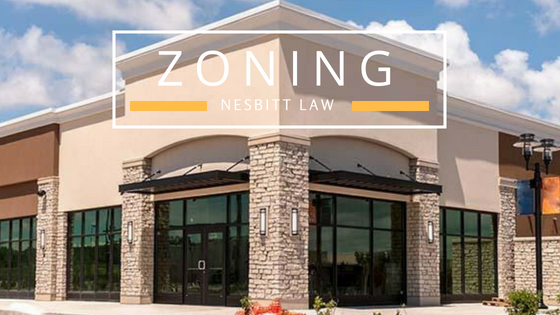 Some of the laws are implemented through zoning laws and others through building codes and safety requirements. Often, the gray areas of law with respect to land use triggers lawsuits in which parties go to court to challenge certain variances. The amount of lawsuits related to land use, in parallel to the overheated Colorado real estate market, has mushroomed in recent years. Currently, Colorado as a whole and Denver in particular is experiencing a real estate boom. Buyers seeking housing are coming in droves. Concurrently, for sale signs are not keeping up with the demand. As a result, due to the imbalance of supply and demand, home prices soared. Neighborhoods like West Colfax have transformed from low-income, affordable areas to high- priced and trendy areas. Due to the lack of existing homes for sale, developers swooped in and purchased numerous lots. Many developers are planning to build duplexes, town houses, and high-density mixed use neighborhoods. The Sloans Lake area, on West Colfax is an example of high-density, mixed-use housing that is seeing high demand. In such an environment, many residents, including long-time residents, feel that creating high-density housing in a once-quiet neighborhood alters the character of the area to an extreme. Then complain of a huge increase in traffic and people knocking on doors asking them to sell. The sprawl, they claim, ruins their quality of life. When this happens, residents will often challenge a developer who is proposing to build. The residents will go to the local zoning board and make their claims. They will go to court and seek an injunction to halt the building process. They will take the case to trial, just to stop the proposed building. They will look at zoning statutes, building codes, and environmental requirements in an attempt to legally curtail building. Often, these statutes have gray areas, thereby tying up the case in court for a considerable amount of time.